Tap into the strength of social media and LGBTQ Influencers! 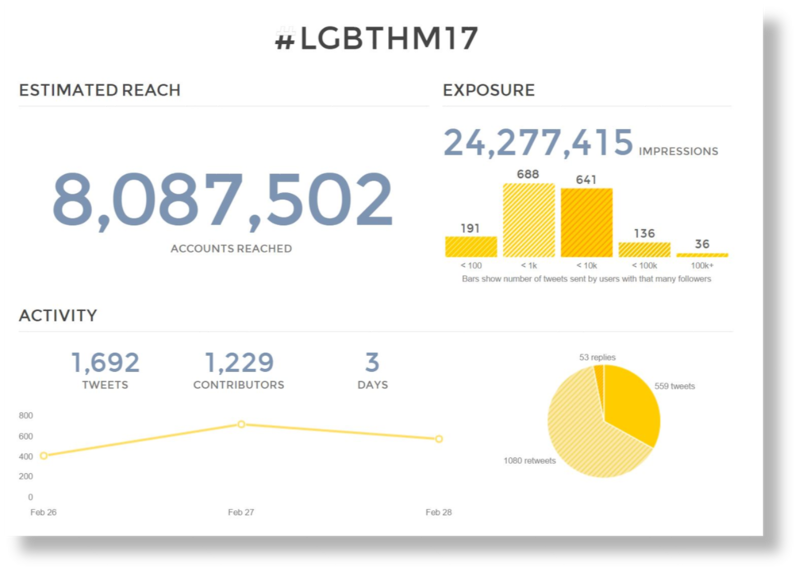 Does your organization want to maximize their visibility during a key LGBTQ event in your region or industry? a Broadway production or perhaps a new product launch? 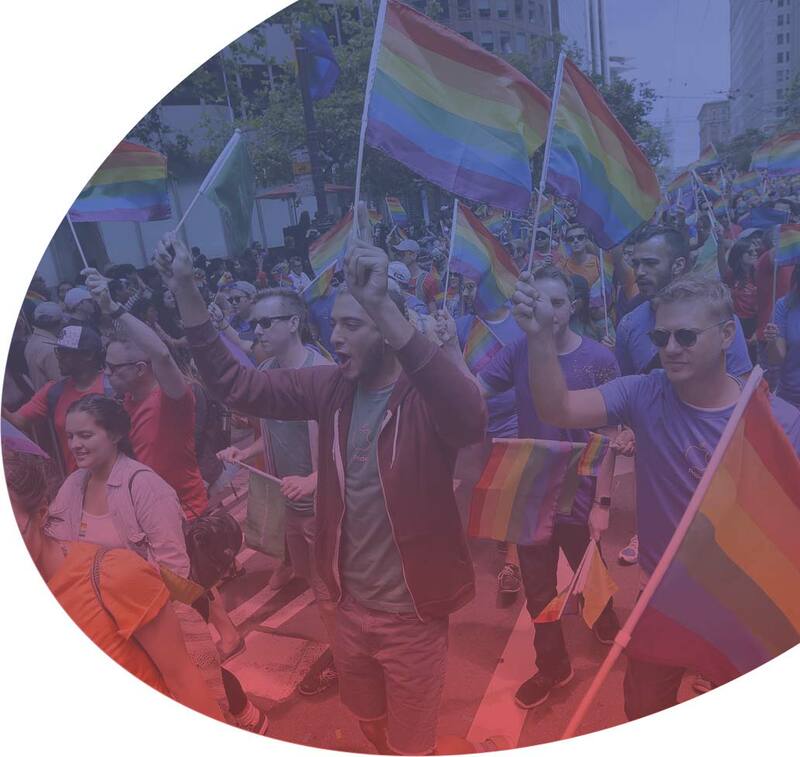 What Pink Banana Media does is bring together the conversations and relevant content related to your LGBT/LGBT-friendly business, where we participate in and become an active part of these social media conversations out where they are happening live, in real-time on Facebook, Twitter, Instagram, etc. As a business, we are participating in these conversations, identifying which individuals and brands are strongest in this specific niche market relevant to your business, as well as determining who are the bloggers, vloggers, influencers and various video content creators dominant in this space. Our intent and our goal is to interact with, work with and leverage their activity and user-generated content for your campaign. Such as #IGLTA2018, #NGLCC18 or #SFPride, engaging with some of the top Tweets by commenting, liking and ReTweeting every hour on the hour. As an event partner, we would monitor and prioritize your organization's Tweets to engage with during the event. Ranging from 1-5 individuals, who are capturing photos, video and other content and posting on Twitter and Instagram, using primary event hashtag, as well as hashtags related to event, such as #GayMiami or #Pride2017. As an event partner, our LGBTQ influencers would ensure they were prioritizing your organization when capturing content, including photos of your team, your booth, or perhaps your company's float in a parade during the event. Sharing this content via our #ILoveGay network, including Twitter, Tumblr, Google Plus, LinkedIn and Facebook. Posts are social media optimized, including all relevant hashtags, as well as connecting the post to the subject of the article, blog or video (including individuals and organizations, such as @mattskal, @ComcastCA or @VisitLaguna). As an event partner, we would monitor and prioritize your organzation's content for inclusion in our posts during the event. Including the top social media posts from our team on Facebook, Twitter, YouTube and Instagram, embedded in the article. As an event partner, we would include your content as embedded social media posts, as well as discuss your organization in the article and include a link to your organization's website. 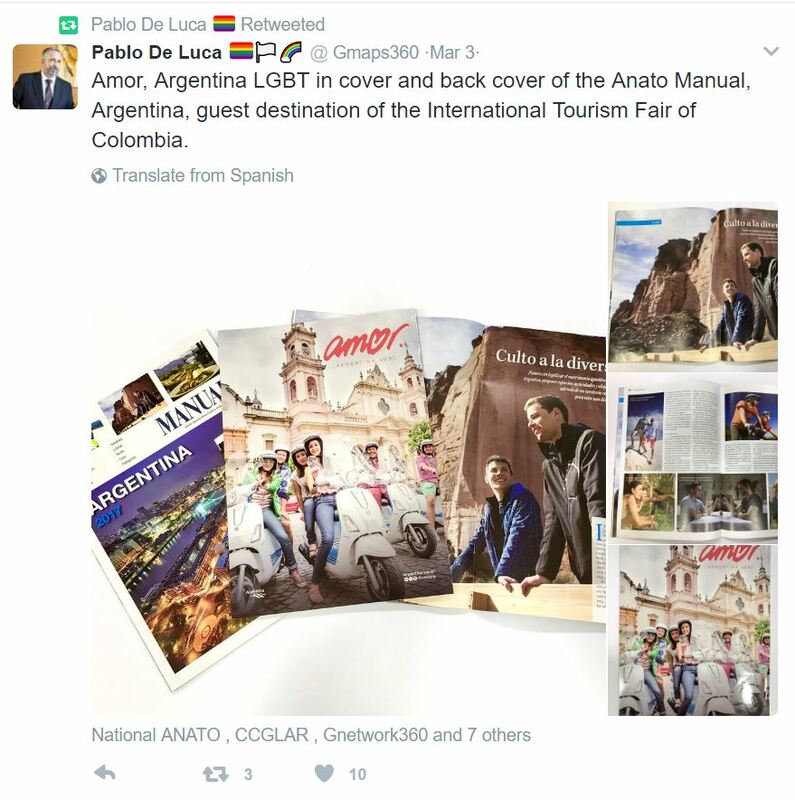 This article would be distributed via our #ILoveGay network, including Twitter, Tumblr, Google Plus, LinkedIn and Facebook, and would be posted on relevant Facebook groups, as well as promoted as a boosted post on Facebook and Twitter, targeting the specific audience relevant to the event and to your organization (i.e., targeting LGBTQ travelers who have shown an interest in theatre, or perhaps travel to New York City). This boosted post/advertising content promotion would last for a period of 30 days from the date the article was completed (estimated 7-10 days post-event). The following is a list of events this #ILoveGay Twitter 360° Network Marketing Package is available for. If your organization has a physical presence at the event, such as a booth, we'll make sure to let our audience know, encouraging them to go to your booth and perhaps take a photo there, posting and hashtagging with the event hashtag, related hashtags and tagging you and your organization in the post. Attendees can also be encouraged to engage with your team and your booth by picking up a prize, booth giveaway and/or entering to win a contest being promoted at your booth. We can encourage attendees to post a photo(s) that includes your organization in some creative way, with a cash prize or valuable giveaway awarded to the best post (free night hotel stay, dinner, introductory service offered by your company, etc.) We would manage the contest on your organization's behalf. We would promote your organization and its upcoming presence and involvement with a specific event, tapping into our content marketing strategy that would include a campaign with a blog post/article, and could include video and photos as well. This campaign would be promoted via the #ILoveGay Network, as well as posted on Facebook, using some of their latest hyper-targeting techniques to reach your perfect LGBTQ demographic. 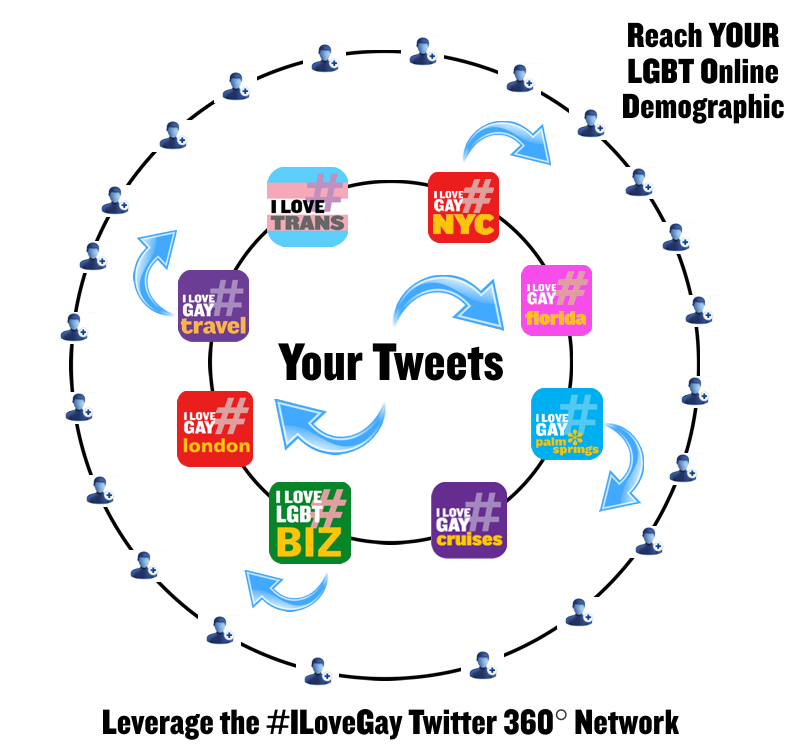 If sponsoring is more than you're ready for at this time, we can offer you a single ReTweet of YOUR SELECTED CONTENT from a minimum of two of our primary #ILoveGay Twitter 360° Network accounts for $95. - Or purchase 5 ReTweets at a discounted rate of $295. 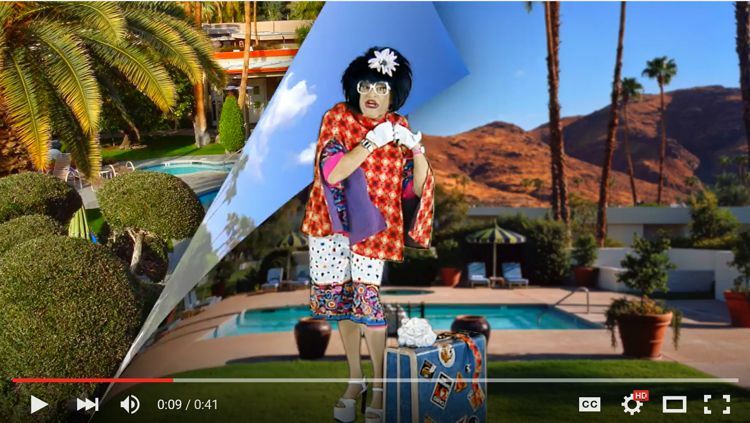 Are you a destination? We have a package for you - Contact Us Here for more information.